Game Expansions and DLCs available for The Last of Us Video Game. An official story expansion for 2013's The Last of Us, created by Naughty Dog. 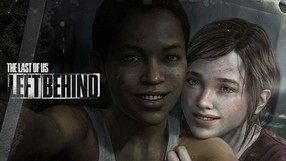 Left Behind is a prequel to the original game, and it focuses on Ellie and her best friend Riley attending a military school in the quarantined area. One day a series of dramatic events occurs, changing both of their lives forever. The premise becomes an excuse to depict the bonds growing between the two characters. The main story is mingled with a subplot which concerns tthe adventures of Ellie and Riley set within the story of the original game. The basic gameplay mechanics have not changed, but since we play as a teenage girl, the gameplay's focus on open combat is substantially reduced.